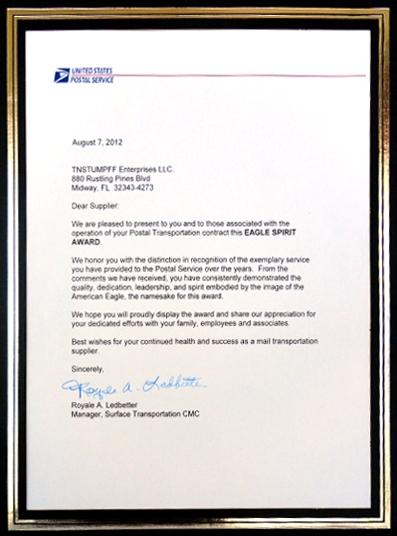 The Eagle Spirit Award is an honor of distinction recognizing the exemplary service that contractors and their employees provide to the United States Postal Service. 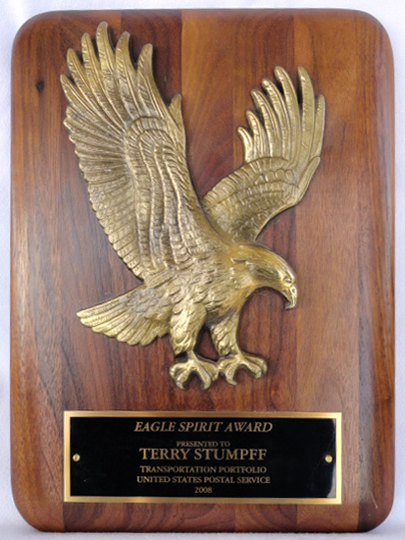 Consistently demonstrating the quality, dedication, leadership, and spirit, embodied by the image of the American Eagle, the namesake of the award. 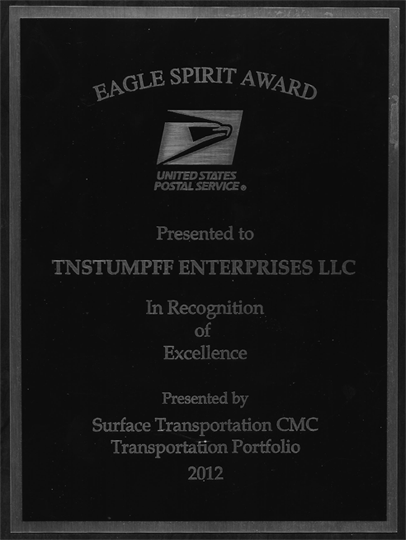 TNStumpff is a Secure Site and we take protecting your information very seriously. 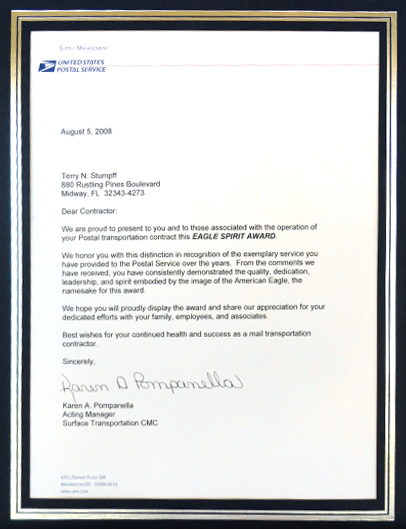 When applicants apply on our website, they can rest assured that this is a highly secured site. No information will be sold or used for any other purpose.